Do you live in Myanmar and you need to get something done or you’re looking to make a decent income? The freelance marketplace made for Myanmar. Hire experts freelancers for your job online. Do you live in Myanmar and you need to get something done or you’re looking to make a decent income? Regardless in what kind of situation you are at the moment, mmFreelancer.com may be the solution you are looking for. mmFreelancer.com is a freelance marketplace that was particularly created for Myanmar, addressing to the local market of employer and professional freelancers. Why look further when you can easily find the best person for the job on this particular platform? Also, if you have skills, knowledge, and experience in a particular field, then don’t hesitate to advertise your services here and let employers know how you can be of service. Besides helping employers get their tasks done, our mission is also to bring accessible and affordable education to Myanmar and empower our students to advance their education and careers. How to get things done on mmFreelancer.com? Well, as an employer, do know that it’s never been easier to complete a job or a particular task. Just post your project on the platform, mentioning the nature of your job and other details you may consider relevant to get an outstanding job delivery. Of course, you are free to browse through the profiles existent online and see what reviews our freelancers received from their former employers, being entirely your choice when it comes to choosing the most suitable in your opinion. You can also use our platform to chat with the freelancers and share any files that may be needed to complete your project appropriately. You should also do not worry about your money, because the payment is secured and won’t be released until you personally approved the work you received. This way, you know that you will be paid when you are satisfied with the work provided by the hired freelancer and will be protected in front of any risks. You can either post a project, waiting for various freelancers to bid for it and opting for the best offer, or you can directly hire the freelance of your choice, the one you consider most suitable for your job, without going through the bidding process. You decide how to unroll your project on mmFreelancer.com. Do you need partners for your project? On this platform you will find professionals with skills in a wide variety of activity fields, so you can easily put a team together in no time. Once you accepted the bid of a freelancer or hired your desired freelancer, both the employer and freelancer will enter a common workspace where they can further discuss the details of the project. Thus, you will constantly be in touch with the hired freelancer, and the other way around, making sure that the project comes out as desired. When the project is finished and the work delivered by the freelancer, the employer can mark the order as complete by clicking on the “Finish” button. Do have in mind that you can finish a project only if you are satisfied with the work you have received. If you are indeed satisfied and close the project, you will also have the chance to review your freelancer. But, if you are not satisfied with the work provided by the freelancer and there are difficulties in reaching a middle ground, you can file a dispute to the platform’s admin and solve your issues this way. Even when you are on the move you can find employers and secure your financial future by landing jobs. 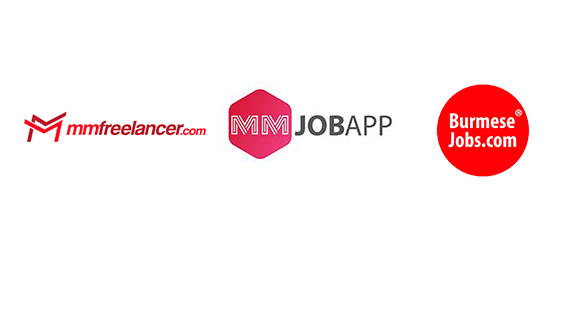 mmJobApp.com is a job portal developed for Myanmar only, so if you live in this country, do check it out as it can help you set the bases for your desired career. Everything works extremely simple on this portal. All you have to do is to create a profile, find an employer that is looking for what you have to offer, and show the employer that you are the best match. There are countless employees looking for freelance professionals that can help them with their tasks. If you have a skill or talent, it would be a shame not to use it in order to earn money on a monthly basis. It doesn’t matter what is your current level because you can learn and develop yourself on the way. The most important thing is to get started, in order to create the professional life you wish for yourself, this portal having the power to provide the boost you need. BurmeseJobs a marketplace for digital services! BurmeseJobs.com is a marketplace for digital services, so don’t hesitate to check it out if you are in need of these kinds of services. Almost any type of digital service is available to you with one single click. So, what kind of service do you need? Anything starting with graphic design to music and video editing, marketing, copywriting, and everything in between is available on this marketplace, as long as it is in the digital sphere. Just feel free to browse throughout the vast catalogue of digital services that are provided by talented Burmese freelancers and pick the one that suits your needs best. Choose to become one of the many that received high-quality projects provided by the numerous skilled and experienced professionals that can be found here. Are you a freelancer that has various skills when it comes to using the computer? Then start advertising your services on BurmeseJobs.com and earn money on what you can do. Whether you are looking for part-time projects or you would like to make a living out it, if you have digital services you can offer, regardless of their nature, you should definitely subscribe to this marketplace. It will put employers and freelancers together, in a win-win situation, so there is absolutely nothing to lose if you decide to become a part of it. Thousands of employers look for talented and skilled freelancers just like you, so don’t miss the chance to get hired and earn money by doing what you know best. Celebrate this New Year with us!